A new analysis of a survey funded by national mental health organisation, beyondblue and the Movember Foundation, has found strong links between psychological distress and drug use among lesbian, gay, bisexual and transgender Australians. The finding is revealed in a new report, A Closer Look at Private Lives 2, based on a national survey of almost 4000 LGBT Australians. Poorer mental health was linked to drug use, excluding heroin, which was considerably higher among LGBT people than the general population and which the report suggests is linked to discrimination. The psychological distress was greater in those who had used drugs in the 12 months prior, compared to those who had not. The analysis, which was undertaken by LaTrobe University, shows that trans males and trans females recorded the highest levels of harassment or abuse, with 55 per cent and 49 per cent reporting instances of harassment or abuse based on their gender identity or sexual identity. The report also outlined the link between poorer mental health and socio-economic disadvantage among trans males and females. It also found that participating in mainstream and LGBT community events was associated with increased resilience for trans males and females, lesbian and bi females, and mental health appeared to improve with age for most of the gender identity and sexual identity groups and lower socio-economic status was a strong indicator of mental health problems among LGBT respondents. beyondblue CEO Georgie Harman said the findings showed the LGBT community was at higher risk of having poorer mental health than the general population and urged LGBT people to participate in LGBT community events. “Rates of psychological distress are higher among LGBT Australians with lower income and education levels, who have been subjected to heterosexist harassment or abuse, or who have consumed one or more illicit drugs,” Harman said. 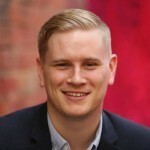 La Trobe University lead researcher William Leonard said the inclusion and visibility of LGBT Australians in work, cultural, educational, social and sporting settings is a whole community and Government responsibility. “Our research shows when involvement and participation in society increases amongst LGBT Australians, their mental health problems decrease. This is the way to tackle discrimination and depression and it needs to be happening now if we are to make progress in reversing the imbalance in their poorer rates of mental health across the board,” Leonard said.